Tue, Feb 27, 2018, 09:45 pm SL Time, ColomboPage News Desk, Sri Lanka. 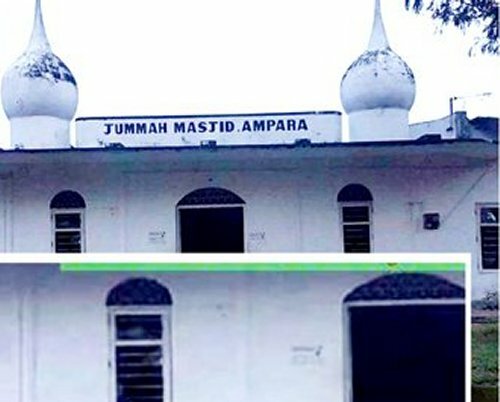 Feb 27, Colombo: The tense situation, which had prevailed in the Ampara town in eastern Sri Lanka last night after a group of people attacked a Muslim shop and a mosque, has presently been brought under control, police said on Tuesday. 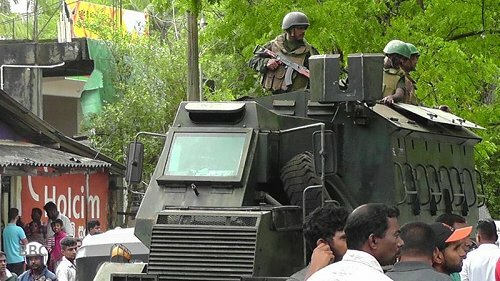 At least five people were wounded and several shops and a mosque damaged in the clash between majority Sinhalese Buddhists and minority Muslims, police said. A police spokesman said an investigation has been launched to apprehend persons responsible for the attack on the mosque and several shops in Ampara town. Amidst a rumor that a Muslim eatery in the Ampara town puts "sterilization pills" in the food, a group of persons had visited the eatery located on D.S. Senanayake Street in Ampara for a meal and attacked the establishment. 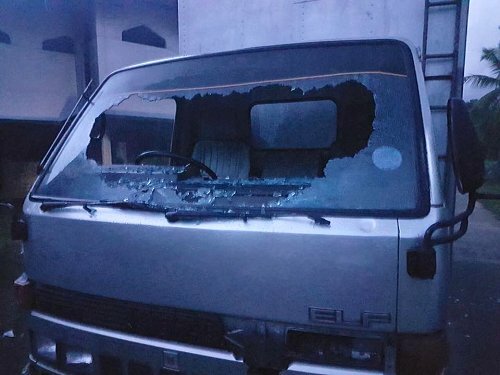 Sinhalese mob has also attacked a mosque, serval shops and vehicles on Monday night and the security has been strengthened in the town to control the unrest, Police Media spokesman SP Ruwan Gunasekara said. The police said the allegation that the relevant restaurant adds "sterilization pills" to the food will also be investigated. The politicians, religious leaders and the security forces of the area held a discussion today at the District office and agreed that the law should be strictly enforced against individuals connected to these incidents. The security forces have called on all parties to act in a manner that would safeguard peace in the area. This issue was also discussed at the cabinet meeting held on Tuesday morning. Minister Mano Ganesan speaking to the BBC Sinhala Service said that several ministers expressed their views on these "organized attacks" on the cabinet. "Immediate measures have been taken to control the situation, which aimed to discredit the government and sabotage the peace and said in an announcement.